The Eye Gallery has a large variety & broad selection of eye products offered in our dispensary; over 375 frames alone. 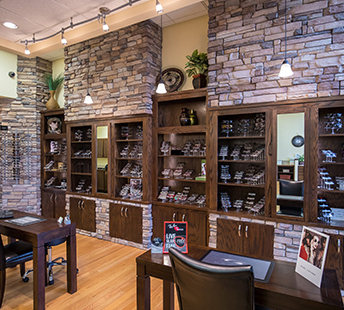 Offering convenience and satisfaction, The Eye Gallery serves all of your family’s eye care needs under one roof. Since 2007, we have been proudly providing eye care professionals with superior products, extraordinary service and the fastest turnaround times in the industry. As a fully automated digital laboratory 100% dedicated to freeform, we feature multiple fabrication lines, an extensive onsite AR coating lab, as well as a lens finishing center.